Anna Bruen grew up in Fairfield, Iowa surrounded by farm land, but not familiar with it. She was familiar with healthy food and worms and butterflies thanks to her mother’s backyard gardening experiments; they showed her where those horrid things called tomatoes came from and where those delicious snow peas could be gleaned (she still loves snow peas and has developed a delicious appreciation for heirloom tomatoes). Currently, Anna works as Executive Director for Pathfinders RC&D in Fairfield. Her professional experience has revolved around working with municipalities, businesses, and non-profits in a variety of capacities, to find appropriate ways for the natural and built environment to healthily co-exist. She graduated from Iowa State University with a Master’s Degree in Community and Regional Planning and a M.S. in Sustainable Agriculture. Kari has been working with nonprofit, social change organizations for two decades. She joined 1000 Friends of Iowa as the Executive Director in the fall of 2015. Kari was formerly a long-time staffer with Iowa Citizens for Community Improvement where she worked on farming and environmental issues as well as membership and fundraising activities. Kari and her husband Kevin live on a small farm south of Norwalk with her working border collies and a small flock of hair sheep. Angie Carter grew up in rural Iowa during the Farm Crisis of the 1980s. This experience inspires her writing, research, and activism in agrifood systems transformation as well as her commitment to rural places and people. Angie lives in Michigan's Upper Peninsula where she works as an assistant professor of environmental and energy justice at Michigan Tech University, writes, and enjoys long walks in the woods with her pup, Willa. A native of Dallas, Texas, Celize obtained her B.S. from Iowa State University in 2016, majoring in Animal Science and Global Resource Systems with a minor in Spanish. Her studies at Iowa State allowed her to take her curiosity about livestock production systems worldwide. Her excitement for poultry has allowed her to travel to Uganda in 2014 and 2015, working with farmers on their poultry production practices and with women who obtained microloans to raise chickens. Following graduation from ISU, she went on to obtain an M.S. degree from Penn State University in 2018, where she majored in Rural Sociology and International Agricultural Development. Her thesis research focused on how poultry farmers in Rwanda use local knowledge to aid in addressing poultry health issues. Anna originally hails from Maryland and earned a Master’s Degree in Sociology and Sustainable Agriculture from Iowa State University. She currently works as a Policy Manager at the Center for Rural Affairs. After that, she spent two years working full-time on small vegetable CSA farms on the East Coast. She then settled near home in Washington, D.C. for three years where she worked in USDA’s budget office. She lives in Ames, Iowa. Ahna Kruzic is a community organizer turned communicator and writer from rural southern Iowa. She currently works at Pesticide Action Network as their Communications Director. Ahna holds a Master of Science in sustainable agriculture and sociology from Iowa State University, and has worked as community organizer, researcher, coalition-builder, publisher, and communicator. 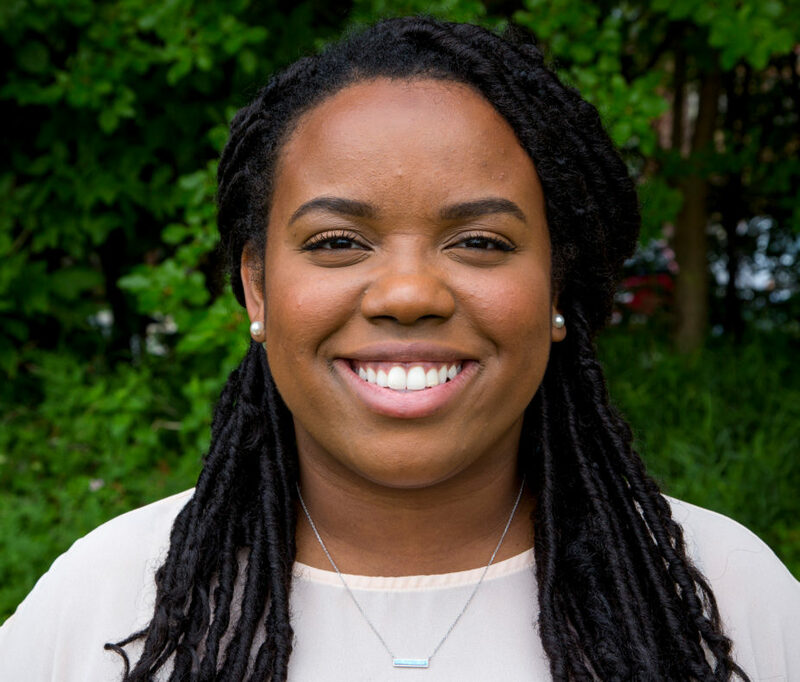 Prior to joining the PAN team, Ahna worked as Director of Publications and Communications at Food First / the Institute for Food and Development Policy. Ahna’s areas of interest include farm and rural justice, the intersections of gender and capitalist agricultural production, and the dismantling of white supremacy in food movement spaces—and she believes strategic communications are an integral part of growing our movements for a more just food and agriculture future. Ahna speaks conversational Spanish. Sophie grew up attending summer camp on a small farm outside of Iowa City where she first learned about the magic of soil and strength of the earth. She currently works as a Communications Specialist at Farm Credit. Sophie took her passion for the land to Grinnell College where studied anthropology and Spanish. While at Grinnell, she completed her senior thesis on women alternative farmers in Iowa, studying ten women’s identities, their motivations to farm and their knowledge sharing practices. After graduation, Sophie moved to Washington, DC to complete a service corps year at Brainfood, a youth development non-profit that teaches high school aged youth life skills through food and cooking. Sophie also interned at National Farmers Union where she helped to organize their women farmer conference, as well as compile a women farmer blog. Sophie is honored to serve on the WFAN Board and advocate for the voices of all women farmers in hopes of contributing to a more just and sustainable food system. Over the last 15 years, Jennifer has worked to promote rural community and economic development that celebrates diversity. Her background is in community organizing, indigenous knowledge and sovereignty issues, participatory research, natural resource management, organic fruit, vegetable and livestock production, and permaculture. When not on a farm, she has worked in the public and non-profit sectors and is an experienced grant writer and program manager. Jennifer moved to Iowa in 2009 and earned her Master’s in Sustainable Agriculture from Iowa State University in 2011. She then helped found and manage the Meskwaki Food Sovereignty Initiative and Red Earth Gardens, a 40-acre organic produce farm, with the Meskwaki Nation in rural Iowa. She currently owns and manages Turkey Foot Farm, raising heritage breed pastured pork and poultry. She was elected in 2016 to serve as a Commissioner on the Tama County Soil and Water Conservation Board in 2016 and currently serves as Vice-Chair. She also serves as Vice-Chair on the Board of the Women, Food & Agriculture Network.